Style Crescent: OOTD: Guns 'n' Roses. 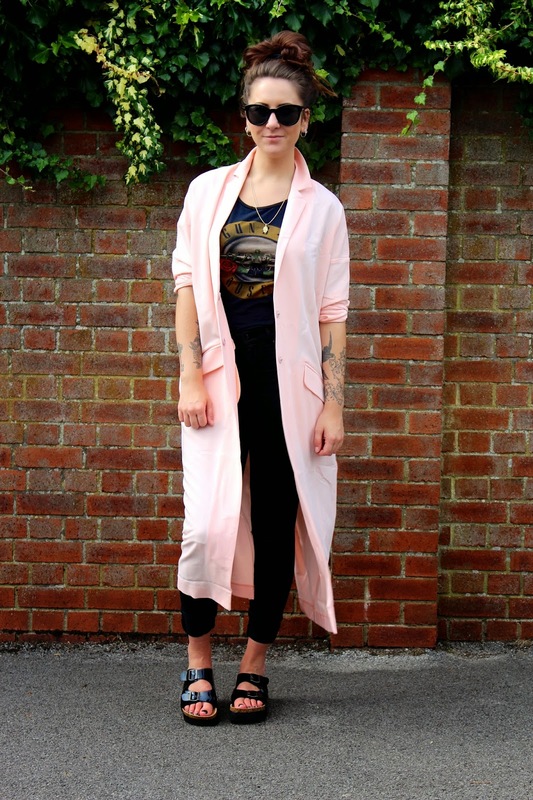 Is that me in a pastel pink duster coat!?? I was pretty shocked that I decided to purchase this, but when I saw it in the Asos sale I couldn't resist. To toughen up the outfit a little I paired this with a Guns 'n Roses tee. It's old and faded but I think is still wearable! 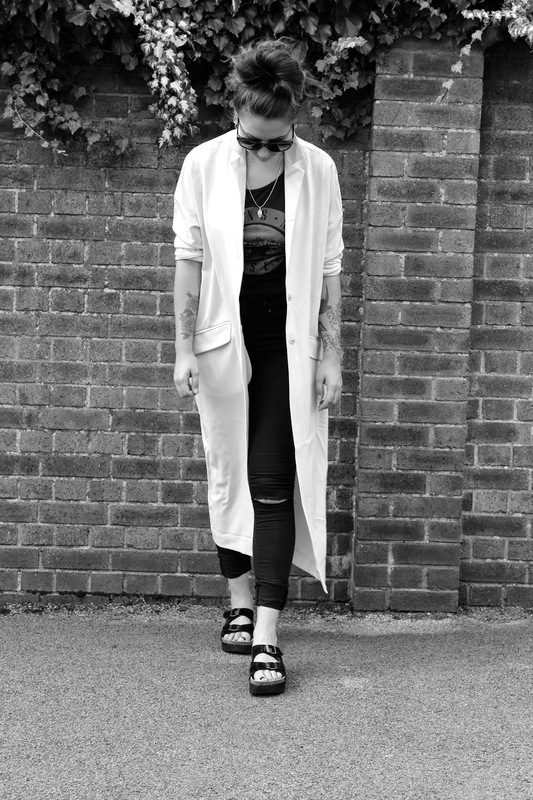 I have been pretty obsessed with my new DIY ripped jeans and have been wearing them non-stop! Mid-shoot I had a little friend turn up, my cat Faith. Honestly I'm pretty sure she is a 100% poser as going through the pictures she is in most of them! My usual 'photographer' (lol) is my sister but she was out and the next nearest person was my mum. To other people the concept of taking pictures of yourself in outfits can be a bit baffling. Sooo directing my mum to take pictures of me was pretty entertaining... but I think they came out OK! What a relief. It's Monday morning and I am reluctantly sat at my desk about to start work. Living for the weekend is an understatement in my life. I adore how you threw the long shirt over the grungy t-shirt it looks great!! Ahh, that duster is amazing especially in that colour!! OMG- trying to get my Dad to take my piccies is pure jokes- well done on getting your Mum trained up!!! Gorgeous, also reminded me how I still need a duster coat! Amazing outfit, I love that jacket! You look incredible!